Jamal Saghir is Professor of Practice at the Institute for the Study of International Development at McGill University, Montreal, Canada; and Senior Associate at the Center for Strategic & International Studies (CSIS), Washington, D.C. 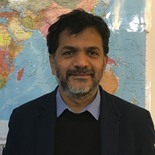 He is also Special Advisor to the Executive Committee of Bollore Transport and Logistics, member of the Advisory Board of MAN S.A.L., Melec Power Gen Inc., and GRV Global Ltd.
From 2010 to 2016, Mr. Saghir was Director for Sustainable Development and Senior Regional Advisor at the World Bank, where he held directorship in Energy and Power, Water, Transport, Environment, Agriculture and Rural development, Infrastructure and Sustainable Development. He managed one of the largest World Bank Group departments with over 400 staff, an equal number of consultants, and was responsible for a portfolio of close to 300 projects worth around US$25 billion. From, 2000 to 2010, Mr. Saghir was Director and Chair of the World Bank Group’s Boards for Energy, Water and Transport, leading Bank activities, guiding its lending strategy and implementation in member countries. From 1990 to 2000, Mr. Saghir served in senior management and leadership roles in a variety of energy, private sector development, restructuring operations in Africa, Latin America, Central and Eastern Europe, the Middle East and North Africa (MENA). Prior to joining the World Bank, Mr. Saghir served as Resident Advisor to the Prime Ministry in Tunisia and Country Director for Scientex Corporation, Center for Privatization (1988-1990), and from 1985-1988, he held the positions of Economic Adviser and Chief of Staff to the Associate Minister of Finance and Privatization in Quebec (Canada). From 1982 to 1985, he served as Economist at the National Assembly of Quebec. Mr. Miguel Coronado was born in Ibagué, Colombia. He is a lawyer by profession, graduated from the Universidad de los Andes with a specialization in international law, policy analysis, government, international arbitration and project financing. He holds a master's degree from George Washington University in International and Comparative Law. Current representative of the IDB Group in the country. He is in charge of implementing the strategy of Banco País in the Dominican Republic for the period 2017-2020. 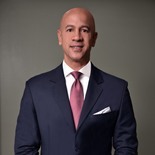 Previously, he served as the main operations specialist and project lawyer of the Inter-American Development Bank, where he has over 25 years of work in favor of international development. During his tenure as Operations Specialist, he was in charge of executing the Banco País program in Mexico, monitoring the implementation and portfolio of the IDB program in that country. Likewise, he was responsible for the dialogue with the government authorities leading the preparation, analysis and negotiations of new operations. Mr. Saurabh Dani works as a Senior Disaster Management Specialist in the World Bank’s Urban and Disaster Management team in Latin America and the Caribbean. Mr. Dani has been supporting the disaster reconstruction work supported by the World Bank in the Caribbean following the 2017 Hurricane season. In over ten years with the World Bank, Mr. Dani has worked in the Asia region managing large scale risk reduction, mitigation and post-disaster reconstruction projects. Prior to the World Bank, Mr. Dani worked with the Red Cross in Aceh, Indonesia following the 2004 Asian tsunami and has worked on climate adaptation projects with the Asian Disaster Preparedness Center and the Earth Institute, Columbia University. Mr. Dani holds post graduate degrees in Civil and Environmental engineering and in public policy and administration. Zachary Harding is the Chief Executive Officer of the Caribbean Climate-Smart Accelerator. Harding is also founder and chairman of Hyperion Equity, a private firm with investments in research, marketing, agriculture, fintech, traffic management and entertainment. Over the years, Harding developed a solid reputation in senior management and strategic marketing positions including Chief Executive Officer, Head of Strategy and Director of Marketing. He has often been dubbed a “rain-maker” and “marketing guru” in the media based on several successful marketing campaigns. Mr. Harding is a former Special Adviser to the Minister of Tourism and Deputy Director at the Jamaica Tourist Board. 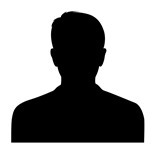 He currently serves on several government and private sector boards. In 2012, Harding was named as one of the top “50-under-Fifty Business Leaders Shaping Jamaica's Future” by the Private Sector Organization of Jamaica and The Gleaner Newspaper. 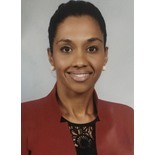 Timba Engelhardt is the Associate Director with the Investment Banking division within CIBC FirstCaribbean, which she joined in 2007, with over 17 years of experience within the financial sector, regional and international including banking, financial advisory, capital raising in various industries. In her current role, she is focused on business development and arranging debt financing in the Caribbean for regulated utilities, and independent power producers (including renewable energy infrastructure projects) in addition to sovereigns, and established companies. Timba worked on and led a wide range of transactions regionally also in corporate finance and project finance in a variety of industries such as hospitality, real estate, energy & utilities, sovereign and infrastructure in the English speaking and Dutch Caribbean. Timba holds a Masters degree from the University of Tilburg, Netherlands. Juan Pablo Regidor has 10 years of experience developing risk management solutions in private, government and multinational organizations. He currently serves as Government Senior Client Manager for the LatAm hub of Swiss Re. 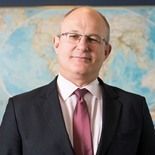 His main responsibilities have been to assess risk transfer mechanisms for government thorough out Latin America, but has specialized in the Andean Region and the Caribbean. Prior joining Swiss Re, he was Director of the Insurance and Pensions Unit of the Mexican Ministry of Finance where his main responsibilities were to provide the financial input to risk management solutions, regulatory policies and investment scenarios. He also worked in the Disaster Risk Management desk of the World Bank Group where he helped redesign the FONDEN´s rules of operation, and help advise the Mexican government for the issuance of the 2012 Cat Bond, among others. He has worked in investments positions during his roles at the Office of the Presidency of Mexico, and in investment firms. He holds a B.A. of Economics from ITAM University in Mexico, a Master of Public Policy with honors from the University of Chicago and is enrolled in the CFA program. 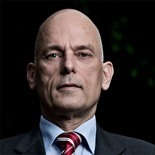 Peter Jakszentis is Facultative Director at Munich Re Mexico. Currently, he leads a team for underwriting services for single risk business, project and operational, property, casualty, and agricultural risks. He also works on the strategic and operational re-alignment of Munich Re’s Mexican team in towards complex risk transfer solutions. The focus is on the dynamics and challenges in emerging markets and change situations offering the opportunity to make a difference. In Mexico he has designed and implemented an Insurance Facility with Atlas Seguros and AON Mexico for mid-scale photo- voltaic projects. Comprehensive multi-line, multi-year coverage concept optimized towards reduction of project finance cost to boost investment in renewable energy. With over 20 years in Munich Re, Peter has worked as Head of Facultative Underwriting Property in different regions p.e. Germany/Middle-East/ Africa and Mexico/Central America. 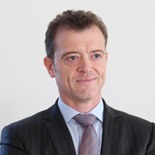 Graduated in 1990 in Business Administration from the Solvay Business School in Brussels (Université libre de Bruxelles), Rene Perez joined the EIB in 1995 after an experience in the private sector with the international audit and consulting group Deloitte. Upon his arrival in the financial institution of the European Union, he joined the newly created risk management services, in which he participated to the design of the first procedures. In 1999, he is transferred to the Department of operations in the Mediterranean where he was successively in charge of the portfolios of operations with Egypt, Lebanon, Jordan, and Morocco. In 2005, the Bank entrusted him with the responsibility of Resident Representative in Morocco in the framework of the recent establishment of new field offices to intensify relations with partner countries of the European Union. In late 2009, he is back to Luxembourg to integrate the department of ACP countries where he will be having operational responsibilities with countries from the Pacific and Caribbean region, and later from West Africa. 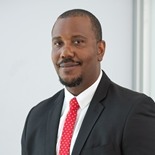 From October 1st, 2014 he serves as Representative of the Bank for the Caribbean region (15 ACP countries & 12 OCT) with office based in Santo Domingo. Devon Gardner has been the Programme Manager for Energy and Head of the Energy Unit at the Caribbean Community Secretariat, since September 2014. In this role, Devon has oversight of the Energy Programme, which is tasked with the identification of common policies and strategies for transforming the energy sector within the Caribbean Community (CARICOM). 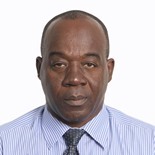 During his tenure at the CARICOM Secretariat, Devon has driven the establishment of, inter alia: The C SERMS Platform; The Caribbean Centre for Renewable Energy and Energy Efficiency; The Regional Energy Efficiency Strategy; The Integrated Utility Services Model; and The establishment of a programmatic approach toward the attainment of climate and disaster resilient energy supplies within CARICOM. Previously, Devon was a Technical Adviser within the Caribbean Community Climate Change Centre (CCCCC) and held multiple positions in academia, ranging from Senior Research Fellow to Professor in various universities within the Caribbean and Europe. 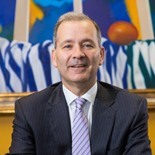 Robert (Bobby) Lloyd is President of Lloyd Electric. Lloyd Electric was founded in 1984 as a Full Service Electrical Contracting Company.both Inside and Outside Plant, and Transmission and Distribution Systems. Mr. Lloyd started out as an Apprentice, then Journeyman and now Holds Master Electrical Licenses in most States in the United States. He prides himself in his companies motto: "WHAT EVER IT TAKES”. Which filters down to every employee in the company. Mr. Lloyd and every employee in Lloyd Electric will do Whatever It takes to ensure that every customer will get the best possible product and service EVERY TIME. During his tenure as President, Mr. Lloyd has been instrumental in various high profile projects for USAID, FEMA, U.S. Army Corps of Engineers. Both in the United States as well as many Caribbean Islands after Hurricanes and missions, as well as in Iraq and Afghanistan. 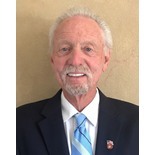 He regularly attends conferences and continuing education courses geared towards his continued development and operates on his motto: Luck is when Preparation meets Opportunity. Jeane has worked in the Bermuda Civil Service for the past seventeen years in various capacities, having begun in architecture and facilities management. 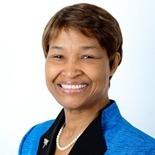 She is Bermuda’s first Director of Energy, under whose leadership the Energy White Paper 2011 was produced, a National Electricity Policy was adopted in 2015, the Electricity Act 2016 was developed and granted royal assent, and the regulation of the electricity sector has been migrated to the Regulatory Authority of Bermuda. Jeane is also a graduate of Barnard College of Columbia University and holds a Master’s Degree from the University of Pennsylvania. Currently, the Department of Energy is working on the development of fuels policy and legislation, implementing measures to assist low-income families and seniors, and has just engaged its first utility-scale solar developer to build Bermuda’s first 6MW solar farm, to be operational early in 2019. In June 2011 Owen was appointed to the Board of Directors for Montserrat Utilities Limited (MUL) a position he still holds. In September 2016, Owen was selected as the Chairman of the Finance Sub-Committee of the MUL Board. Owen was a project drafting team member for the Government of Montserrat Energy Policy and Strategy 2016 – 2030 documents. Owen has over 9 years of experience of project development as Director of projects and 18 years of experience as a Project Manager with practice in a variety of disciplines. He brings a wealth of project development, project management, procurement and contract management experience to the MUL Board. 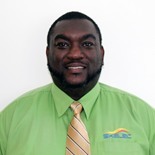 Owen is an Independent Contractor - Operations Manager of projects for the Islands Energy Program, responsible for Project Development Implementation Oversight for a portfolio of 144 MW of renewable energy and energy efficiency projects across the Caribbean region. Gail Mosey has worked at the National Renewable Energy Laboratory (NREL) as a Project Lead and Senior Energy Analyst for 14 years. 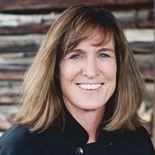 Gail has a Master’s degree in Economics from the Colorado School of Mines and a Bachelor’s degree in Finance from the University of Colorado. A primary area of Gail’s expertise is working with the U.S. Environmental Protection Agency (US EPA) siting renewable energy on environmentally compromised lands including economic and technical analysis of the viability of renewable energy on these sites and any related community impact. Another area of Gail’s expertise is working with tribes and villages through U.S. Department of Energy (US DOE) on strategic energy planning that includes energy efficiency and renewable energy solutions to meet tribal energy requirements and improve resilience. 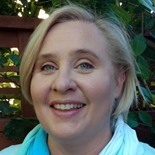 Gail is NREL’s trans-national Arctic lead and works on strategic aspects related to the Arctic and also with villages in Alaska and is developing an expertise in energy solutions in remote communities to improve resilience, energy security and in aspects related to the energy-water-food nexus. Cletus Kennedy Bertin (Ph.D.) is the Executive Director of the Caribbean Electric Utility Services Corporation (CARILEC). He has worked throughout the Eastern Caribbean, Belize and Trinidad & Tobago, with several governments, universities, corporations and multi-lateral institutions, as a full-time employee and as a consultant. 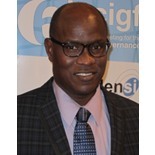 His areas of specialisation include Management of Change & Innovation, Business Process Analysis & Reengineering, Strategic Planning, Project Management, Organisational Development and Capacity Building, across several sectors: ICT, Telecommunications, Education, Public Administration, and more recently Energy. He holds a B.Sc. (Management) and a M.Sc. (Management, specialising in Information Systems) from the University of the West Indies and a Ph.D. (Information Systems & Change Management) from City University in London, England. Don Forsyth is Senior Director of Electrical Planning, Engineering and Energy Delivery at FortisTCI. Mr. Forsyth joined FortisTCI in 2013 as Director of Engineering and Planning. He has led a number of innovative projects at the company, including the development of switching and energy control procedures, procuring and commissioning a new Arc-rated Generation Switchgear and Power Plant, and implementing a digital platform for line design and asset inspection. An electrical engineer with over 20 years’ experience in island utility systems, Mr. Forsyth’s expertise includes Generation and Transmission, Distribution Operations and Maintenance, and a wide array of engineering studies. 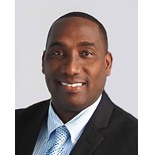 He began his career in the utility industry at the single generation plant in Grenada, and moved through the ranks to become Manager of Planning and Engineering. Mr. Forsyth has a Bachelor’s degree in Electrical and Computer Engineering from the University of the West Indies, St. Augustine, Trinidad. He also holds an Executive MBA from the University of the West Indies, Cave Hill, Barbados. Jervan Swanston is presently the longest serving member of staff at the Nevis Electricity Company Limited; and has worked with the company for more than a decade in various departments. He joined the Nevis Electricity Department (now called NEVLEC) on completion of his first stint at tertiary education from The St Kitts Nevis Technical College as a Linesman. During his course of employment, he has held the positions of Lineman, Meter Installer, Electrical Inspector, Planning Officer, Human Resource Manager and is presently the General Manager. 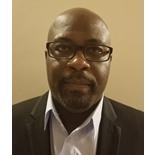 Mr. Swanston is qualified in varied disciplines ranging from the field of engineering to Management having attended and graduated from the Gingerland Secondary School, the St Kitts/Nevis Technical College, Camuson College in Victoria B.C. Canada and American Intercontinental University in Illinois, U.S.A.
Commercial Engineer from the University of Chile, with a bachelor’s Degree in Economics and a Postgraduate Diploma in Corporate Finance from the Pontificia Universidad Catolica Madre y Maestra of Santo Domingo. Oscar has strengthened his career with Executive Programs on renewable energy, risk management, international trade, business development, marketing, formulation and projects evaluation. 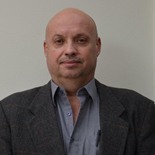 With more than 15 years’ experience in the Energy Sector, since 2010 is part of the Executive Committee of the Punta Cana-Macao Energy Consortium, acting as Commercial Manager, being responsible of the commercial management of large customers, over 20,000 KWh consumption, which represents about 85% of the company's electricity sales. 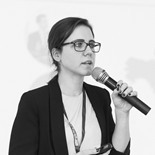 Ophélie Chevalier is Senior Urban Development and Housing Specialist at the Inter-American Development Bank. She has almost 20 years of international development experience, including project management (identification, design, negotiation, execution, and evaluation), sector strategies, policy dialogue with authorities, and oversight of technical studies. At the IDB, she has worked on issues related to institutional strengthening, local development, housing subsidies, and neighborhood upgrading programs. 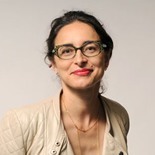 Her current work also includes acting as focal point for climate change for the Housing and Urban Development Division. Ophélie is a lawyer by training and holds master’s degrees from the University of Paris and Columbia University. 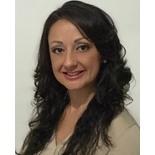 Sara Alexandra Flores Mafud holds a law degree from the University of the Gulf of Mexico. 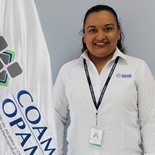 She has experience in the areas of Public Administration, Law, Social Management and Public Policies as a Private Consultant, in addition to her sense of service, work and political sensitivity have led her to occupy various public positions in government of the State of Oaxaca. In 2011, she worked as an Advisor in Social Management, belonging to the Presidency of the Political Coordination Board of the Honorable Congress of the State of Oaxaca. 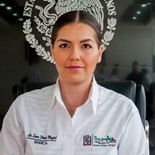 Subsequently, in 2015, she was appointed Head of the Department of Access to Information, in the Institute of Access to Public Information and Protection of Personal Data of the State of Oaxaca (IAIP). In 2017 she ran as candidate for councilor of the Municipality of Salina Cruz Oaxaca. Since January 1, 2017, she has served as the Ombudsman and Treasurer, Chief of the Administrative Section of the legal fund and legal representative of the Municipality of Salina Cruz, Oaxaca. Civil Engineer. Diploma in Geothermal Specialization. Master's degree in Disaster Management: specialization in Flood Disaster Mitigation (Japan, 2014). Technician of the Environmental Unit of OPAMSS, with experience in hydrological and hydraulic models, consultancies to validations in changes of land uses and constructions verifying the possible risks of the environment, currently member of the project team of Risk Management and Social Vulnerability Reduction in MASS. Some research carried out on topics: rainwater Infiltration, Construction and Evaluation of Sustainable Urban Drainage Systems, Measures to Controlled Hydrological Impact, Debris Flows Simulations and supporting the creation of regulations on environmental sustainability and adaptation to climate change. Graduated from the School of Architecture of the Pontificia Universidad Católica Madre y Maestra (PUCMM) of Santiago in 2005, Master in Architecture & Sustainability from the Polytechnic University of Catalonia in Barcelona, Spain in 2007; and Magister in Renewable Energies under a dual program between the PUCMM of Santiago and the Business School of Madrid, Spain in 2011; and specialist in University Pedagogy of the PUCMM in 2014. María Isabel has extensive experience in issues related to climate change & green development; In 2012, she participated in the program for the reduction of emissions of carbon dioxide & clean energies organized by the Government of the People's Republic of China. In 2014 she participated in the climate leadership program of the Al Gore Foundation, The Climate Reality Leadership Project in Rio de Janeiro, Brazil. In 2006 she collaborated with the United Nations Program AGENDA 21 in Barcelona while she was taking his first master's degree. In 2008 she formed her own architecture & consulting firm in Ecodesign, Environment, Sustainability and Climate Change. 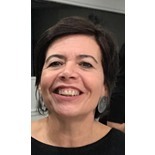 In 2010 she began teaching at the PUCMM School of Architecture in Santiago, and has also taught at postgraduate level for graduate programs and master's degrees. In 2015, she obtained her accreditation as an environmental consultant from the Ministry of Environment and Natural Resources of the Dominican Republic. She is the current Executive Director of Resilience in the city of Santiago de los Caballeros under the 100 Resilient Cities program with the sponsorship of the Rockefeller Foundation. She currently participates in the group of experts of the Intergovernmental Panel on Climate Change IPCC of the United Nations, to collaborate in the sixth global report on Climate Change. Adriana Berdia Viscaíno is a Social Service Magister and candidate for Dr. in Social Sciences, Social Work option, she has specialized in topics related to habitat, social housing, and urban planning. Adriana has held numerous positions in Public Administration, both in the national government and in the departmental government, having advised the Minister of Housing between 2002 and 2005, the National Housing Directorate from 2005 to 2009, and being the coordinator of the Renová Goes Program of the Municipality of Montevideo, Uruguay between 2009 and 2015. She is currently an Advisor to the Directorate of the Department of Urban Conditioning of said organization. She joined MEVIR in 2015 as national social supervisor of MEVIR, since January 2018 she is the coordinator of the Habitat's Maintenance and Management Program. 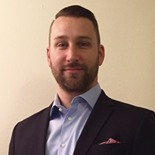 Lucas Hofstra is a Government, Humanitarian & Peacekeeping Key Account Manager for Volga-Dnepr Unique Air Cargo, at the North American office out of Houston, Texas. Lucas is a US Air Force Veteran with over 13 years of service, and 16 years of experience in airlift and logistics. Lucas is responsible for many Key Accounts, working closely with such organizations, such as; USAID, the United Nations, NATO, Phoenix International, and many Fortune 500 Companies around the globe where he provides logistical support and solutions in support of their global and strategical objectives. Former British merchant navy officer who came ashore and started working backwards in the chain of shipping, i.e. from source to final destination, following ships and cargoes from origins & destinations too numerous to mention in the Middle-East, Asia, Africa, Europe, North & South America and the Caribbean where having been located for the past 20 years or so. In 2017, during and after, hurricanes Irma & Maria we (CLS) came to the assistance of DFID to help move their relief goods to the British Islands in the Caribbean, chartering a vessel, consolidating and helping with the local purchase of the relief goods and shipping out to the effected islands. From this experience, our subsequent participation in GRV’s last ARD2018 conference in Panama (& visiting the UNHRD facilities), we (CLS) are actively establishing a disaster relief storage & distribution centre, within a logistics centre (Free Zone) from where Ocean and/or Air services are available promptly to meet any ‘emergency’ call within the Caribbean Basin. Bernadette Lewis was appointed to the position of Secretary General of the Caribbean Telecommunications Union (CTU) in August, 2003. Under her stewardship, the CTU has been transformed into a relevant and vibrant information and communication technologies (ICT) organisation. A strong proponent for ICT-enabled Caribbean development, Ms. Lewis has been advocating the use of ICTs through an initiative called the Caribbean ICT Roadshow, designed to raise awareness and educate on the power of ICT and how they may be effectively employed to enhance every sphere of endeavour. Concurrently, she has been relentless in her endeavours to improve cyber security in the region and was instrumental in the development of a Caribbean Cyber Security Framework with the Organisation of American States. The Caribbean, under Ms. Lewis’ direction initiated the first regional Internet Governance Forum (IGF) in 2005, and has convened 14 annual Caribbean IGF’s across the region. She was awarded a Lifetime Achievement Award in 2012 by the Latin American and Caribbean Registry for Internet Numbers for her seminal work in Internet Governance. Ms. Lewis is passionate about ensuring that the citizens of the region have affordable access to, and are able to benefit from effective use of ICT. Shernon Osepa, is a Telecoms & Internet Policy Professional. An Electrical Engineer, (BSc. from the University of Professional Studies, Eindhoven in the Netherlands), Business Administrator (BBA. from the University of Professional Studies, Enschede in the Netherlands), and Telecoms Regulations & Policy (MSc. from the University of the West Indies in Trinidad and Tobago) by training. 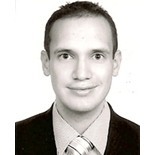 He is currently the Manager Regional Affairs Latin America & Caribbean at Internet Society (ISOC). 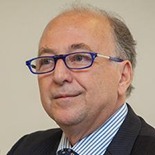 Previously he had worked for ICANN as the Caribbean liaison (three years), the Regulator, Bureau Telecommunicatie en Post in the Netherlands Antilles (almost six years) and the incumbent telecoms operator, SETEL/UTS in Curacao (eight years). Shernon is a firm believer that the Internet should be utilized beyond just the function of a search engine. He contributed to the development of the “Caribbean Peering & Interconnection Forum (CarPIF). Shernon Osepa is a national of Curacao and is fluent in Papiamento, Dutch, English, Spanish and has a working understanding of French. 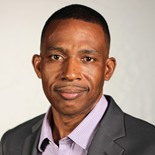 Stephen Lee is the Co-founder and CEO of ArkiTechs Inc., an IT provider with offices in Florida and Trinidad & Tobago. He was formally trained as an Electrical & Computer Engineer at the University of the West Indies, and has over 20 years of experience in IT infrastructure design, implementation and support for enterprises. For over a decade, Stephen worked as an Advisor with the Caribbean Telecommunications Union (CTU) on infrastructure development and capacity building projects in the Caribbean. 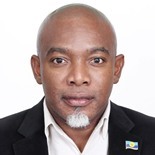 As such, he is a contributor to Caribbean ICT policy development, government network infrastructure design, IXP proliferation, and ICT training programs. He is also one of the founding members of the Caribbean Network Operators Group (CaribNOG), a community of network operators dedicated to sharing technical information and experiences related to the management of ICT infrastructure in the Caribbean. 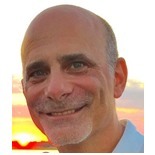 David has worked for Cisco for 17 years, the last 8 as a Datacenter solutions specialist. He holds a B.S. in Computer Engineering from the University of Puerto Rico – Mayaguez, and a M.S. in Information Networking from Carnegie Mellon University. 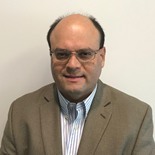 For the last seven years, he has worked with large customers in designing solutions for the datacenter using Cisco UCS, Nexus, and MDS especially in virtualized environments. David is working with current trends such as hyper-converged infrastructure, Microservices, and network automation via REST APIs. 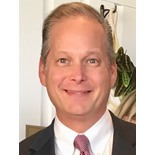 Christopher Rinn was appointed by Governor Christie as the Acting Health Commissioner for New Jersey in November 2017. Commissioner Rinn led an organization of 6200 employees and was responsible for a budget of $2.8B. An experienced strategist and crisis management expert, he has a comprehensive understanding of multi-site operations, project management and long-range planning. He has served as a trusted advisor to governors, healthcare system CEOs and government cabinet officers with a focus on quality improvement, cost-effectiveness and data analysis. As NJDOH’s Assistant Commissioner, Mr. Rinn was responsible for providing strategic and operational leadership to the State’s public health agencies, laboratory services, and emergency preparedness and response activities. He managed the Division’s budget which exceeds $101M, a 15-member management team, and 300 professional and support staff. A graduate of Columbia University with a BS in Biological Science, Mr. Rinn has more than 28 years of experience in public health and emergency services. In addition to completing the Harvard Kennedy School’s National Preparedness Leadership Institute, he completed his MHA at Seton Hall University. Mr. Bennette Thomas serves as the Director of Telecommunications & ICT Advisor to the Minister, and the Cabinet of the Commonwealth of Dominica. 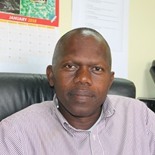 He has over 25 years’ experience in the telecommunications sector across the Eastern Caribbean having played a major role in pioneering the telecommunications liberalization process in the (Organization of Eastern Caribbean States (OECS) Member countries as Head of Technical Operations for the Triple Play Company, Marpin telecoms. 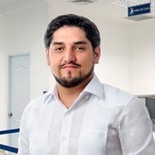 His tireless work in seeking interconnection for Marpin Telecoms saw the establishment of the region’s first regional multi-national regulatory Organization which became the regulatory body for five (5) Countries – a first in the Western Hemisphere. This unified regulatory organization is called the Eastern Caribbean Telecommunications Authority (ECTEL). Additionally, Mr. Thomas has worked in various senior level technical and managerial positions in all the major telecommunications Service Providers in the OECS including Cable & Wireless (FLOW) and Digicel. 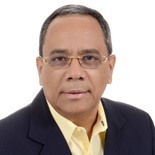 He is presently Chairman of the Spectrum Management Steering Committee of the Caribbean Telecommunications Union (CTU) and a Commissioner of the CTU-established Commission for Caribbean Communication Resilience (CCCR). 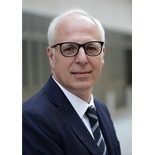 Mark Freedman is a Partner in Dalberg’s New York office, where he focuses on strategy in infrastructure, energy, transportation, water and sanitation, and sustainability/social impact for corporations, private equity firms, public authorities and non-profits. Mark is the author of several reports on infrastructure, large project management and PPPs, and is a public speaker on all three topics. Mark comes to Dalberg after 28 years at the Boston Consulting Group, where he was a senior partner in New York and Paris. Mark served as global leader for Industrial Goods and founder and leader of the infrastructure and water practices. Before Dalberg and BCG, Mark worked with Save the Children-US in sub-Saharan Africa, including as Field Office Director in Burkina Faso. Mark holds an MBA from Harvard Business School and a BA and Master of International Affairs degree from Columbia University. Dominika Czerwinska is the Director of Membership and Regional Networks, overseeing WorldGBC's global network of Green Building Councils (GBCs) in over 75 countries, with the objective to support the development of these councils including aspects related to governance and business planning. Her role also extends to supporting the development of WorldGBC’s five Regional Networks - collaborative platforms that serve to connect GBCs around projects and best practice sharing. This includes fundraising, bringing GBCs together around areas of common focus, hiring and onboarding regional staff and working with the WorldGBC’s regions team to develop strong regional platforms that increase WorldGBC’s capacity to serve its members, and its members capacity to scale impact. Dominika holds an Honours Bachelor of Science degree specialising in biology, and a Master of Environmental Studies degree under the Urban Planning Stream from York University, in Toronto, Canada. Dominika is based in Toronto, Canada. Mr. Peña has more than thirty-five years of training and experience in finance, law, accounting, climate change, environmental, and public service. 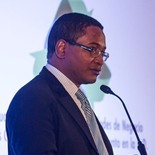 He has worked in the Dominican Republic’s public sector for the past 12 years, including its: Ministry of Environment and Natural Resources as Vice-minister, and the National Council on Climate Change (CNCCMDL) as Finance and Administrative Director with the rank of Undersecretary of State. 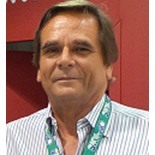 From 1979 to 2006 Mr. Peña worked in the private sector with Companies and Firms such as: Bayer Dominicana, as its Consumers Products Manager and Controller, Seguros La Real, as its General Accountant, the Sociedad Industrial Dominicana, as its Accountant for Costs Centers, and Peña Rodriguez y Asociados, as its President-Director Manager, among others. Specifically, and significantly involved in the UNFCCC negotiations process, serving a member of the Dominican Republic Climate Change negotiations delegation to the Conferences of the Parties (COPs). In the national scenario, Mr. Pena´s during 2017 coordinated a team that produced the draft Climate Change law, currently being studied-discussed at the Dominican Congress.